The PanaCast 2 is the industries first panoramic 4K USB 3.0 plug and play camera. With a wide 180° field of view you're able to perfectly record or broadcast your video in any huddleroom or small conference rooms. The PanaCast 2 4K Panoramic camera features an extremely wide field of view of 180°. Easily connect the camera to any Mac or PC with the USB 3.0 connection. 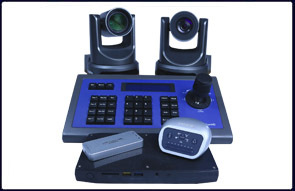 It includes an optional software for ePTZ control, but isn't necessary for general use. Clearly be seen in full HD 3840x1080 @ 30 FPS. 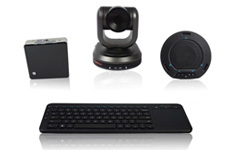 Priced at $995, PanaCast is available at a fraction of the cost of panoramic HD solutions which work with just one app.